President Donald Trump’s nominee for secretary of veterans affairs pledged Wednesday that the VA wouldn’t be privatized during his tenure, though he promised sweeping changes at the department that would allow more private-sector medical appointments. Dr. David Shulkin appeared before the Senate Committee on Veterans Affairs and sought to quash fears he would radically upend the department, while addressing concerns about a wait-time scandal that revealed systemic problems across the VA’s large health-care network. “There should be no doubt that if confirmed as secretary, I will seek major reform and a transformation of VA,” Dr. Shulkin said. “But the Department of Veterans Affairs will not be privatized under my watch.” During questioning, the top-ranking Democrat on the committee, Sen. Jon Tester of Montana, asked the Dr. Shulkin directly if Mr. Trump demanded anything from the nominee before offering him the position. “There were no conditions attached,” Dr. Shulkin said. The hourslong hearing was strikingly civil, in contrast with other confirmation proceedings in recent days in which Democrats have boycotted procedures and lawmakers have slung insults at their colleagues across the aisle. Veterans’ issues are the “one thing that’s kept us bipartisan,” said Sen. Joe Manchin (D., W.Va.) as he walked from the hearing. Still, lawmakers threw a few jabs at one another as well as at the nominee—and by proxy, Mr. Trump. Sen. Bernie Sanders (I., Vt.) said there were efforts under way to privatize the VA and other departments. Dr. Shulkin reaffirmed that he would oppose any such efforts. The senators’ questions mostly centered on Dr. Shulkin’s record at the department and how he would continue to make changes. The nominee currently serves as the department’s undersecretary of health. Lawmakers warned Dr. Shulkin that he wouldn’t have a honeymoon period at the department because he has already had more than a year to learn about the relevant issues. Among those is underutilization of medical facilities. Dr. Shulkin said the VA would look for ways to close and consolidate some of its nationwide network of 1,234 hospitals and health-care facilities, some of which rarely operate to their capacity. “We also have to address infrastructure issues and take a closer look at facilities that no longer serve a useful purpose,” he said. “We must explore expansion of public-private partnerships rather than continue building medical centers that have large cost overruns and take too long to build.” When Mr. Trump announced him as his nominee for VA secretary, Dr. Shulkin garnered immediate support from both the right and the left, from members of Congress and veterans advocacy groups alike. At his confirmation hearing, he sought to provide reassurance that he would be a steady hand in Mr. Trump’s cabinet. Dr. Shulkin is an Obama-era holdover, joining the VA in 2015 in a Senate-confirmed job as head of the department’s health-care system. He and then-VA Secretary Bob McDonald were appointed by then-President Barack Obama to help the department recover from a national uproar over revelations that veterans had been kept waiting for health care. Some of those changes involved moving more medical appointments to non-VA providers, removing poorly performing employees and expanding health services to female veterans. If confirmed, Dr. Shulkin would take over a department whose responsibilities extend beyond the U.S.’s largest integrated health-care network. The VA also manages and maintains a network of cemeteries and is responsible for processing and paying military disability and pension claims, something with which Dr. Shulkin has limited direct experience. Dr. Shulkin addressed these issues, saying the backlog in claims, though reduced, hasn’t been eliminated. It has actually grown slightly over the past few months. As this has drawn attention, a backlog of appeals has festered, an issue that the VA has for years worked to have Congress address with new legislation. “We have to continue our work to eliminate the disability claims backlog, and we need legislation that would allow us to reform the outdated appeals process,” Dr. Shulkin said. The nominee also addressed hiring concerns at the department, including how he would deal with Mr. Trump’s recently announced federal hiring freeze. Dr. Shulkin said the VA currently has 45,300 vacancies throughout the department, but the Trump administration has agreed to exempt 37,000 of those positions from the hiring ban. Dr. Shulkin would be the first nonveteran to serve as the head of the Department of Veterans Affairs. While some veterans groups said they would prefer to have a veteran at the helm, they also said competence at the top of the department was more important. “Some veterans don’t care that he’s not a veteran, but many do,” said Paul Rieckhoff, Chief Executive of Iraq and Afghanistan Veterans of America, an advocacy group, in a statement before the hearing. “It may not be a deal breaker, but they want it addressed.” The nominee said that his father and grandfathers served in the military and that he considers his time at the VA as his opportunity to serve. “I view my VA service as a duty to give back to the men and women who secured the uniquely American freedoms and opportunities we all enjoy because of the sacrifices they made,” he said. David Shulkin, President Trump’s nominee to lead the beleaguered Department of Veterans Affairs, is pledging to accelerate improvements in the agency and provide veterans more care in the private sector. At his confirmation hearing Wednesday, Shulkin said “there should be no doubt” that he will seek “major reform and transformation of the VA.” Shulkin, as the only Obama appointee among Trump’s Cabinet nominees, is walking something of a tightrope, outlining what he will do differently under Trump, while at the same time assuaging the fears of Democrats and some veterans’ groups that VA services will be privatized. “There will be far greater accountability, dramatically improved access, responsiveness and expanded care options, but the Department of Veterans Affairs will not be privatized under my watch,” he said. “If confirmed, I intend to build a system that puts veterans first and allows them to get the best possible health care and services, wherever it may be — in VA or community care.” Trump promised a major overhaul of the VA during the campaign, and his plan includes allowing veterans to get VA-paid care in the private sector if they choose. Currently, they can only do that if they can’t get a VA appointment within 30 days or live more than 40 miles from a VA facility. The plan also includes creating a 24-hour hotline for VA complaints, convening a commission to investigate misconduct and swiftly holding employees accountable for wrongdoing. David Shulkin, the nominee for secretary of the Department of Veterans Affairs, on Wednesday echoed many of his predecessor’s plans and priorities to reform the beleaguered agency, rather than supporting the more radical changes proposed by President Donald Trump and some conservatives. During his Senate confirmation hearing, Shulkin, a physician who has worked as the VA’s undersecretary of health for 18 months, backed off an idea that was part of Trump’s campaign to allow all veterans to access private sector at the government’s expense. Shulkin signaled he would follow at least some of former VA Secretary Bob McDonald’s outline for VA reform, which includes creating a network in which private-sector care would augment treatment at VA facilities. “I will seek major reform and a transformation of VA… but the Department of Veterans Affairs will not be privatized under my watch,” Shulkin said during the hearing. Sen. Jon Tester, D-Mont., ranking member of the Senate Veterans’ Affairs Committee, predicted there would come a time when Shulkin would have to choose between his path for VA reform and the president’s plan. “You’ll have to deal with a president [who] has positions that are in stark contrast to the positions you have taken,” Tester told Shulkin. “Sooner or later, you will come to a crossroads, where you’ll have to pursue what you think is best for veterans or what the president tells you is best for veterans.” Republican and Democratic committee members said there were good stories happening at the VA, statements in contrast to Trump’s campaign message that it was “the most corrupt agency” and “probably the most incompetently run agency” in the federal government. “I did not talk to [Trump] about his past comments, but he and I agree we need to do a lot better for our veterans,” Shulkin said. He said complaints about the VA workforce was “absolutely hurting” recruiting new employees. Unlike Trump’s other Cabinet picks, the 57-year-old Shulkin is a holdover from President Barack Obama’s administration. As undersecretary for health, Shulkin oversaw the Veterans Health Administration – the country’s largest health care system – which comprises approximately 1,700 facilities nationwide and served about 9 million veterans in 2016. As VA secretary, he would responsible for the agency’s nearly $180 billion budget and approximately 370,000 employees across the country. Shulkin was quizzed during the late afternoon hearing, and he responded to multiple questions about how he would work with Trump on VA reform. “I will be a tireless advocate to ask the president for everything we need,” he said. The doctor nominated to lead the U.S. Veterans Affairs Department appeared Wednesday before a Senate committee that grilled him about how he would fix the VA. Here are five things David Shulkin said he would do with the beleaguered federal agency, if he is confirmed. Shulkin has been the chief executive of the VA’s health care system for 18 months, after leaving private medicine where he served in several locations as a hospital executive. He would be the first non-veteran to lead the VA and would inherit the fallout of a 2014 scandal over long and manipulated wait times for medical care. Although the governmentwide hiring freeze President Donald Trump ordered last week was mainly meant to shrink the federal workforce through gradual, voluntary attrition, it could result in an untold number of unexpected dismissals for Defense workers in charge of repairing and “resetting” military equipment, a task the new Defense secretary, James Mattis has said is among his most urgent priorities. At issue are thousands of blue-collar personnel working in government-operated maintenance and production depots — mostly in the Army — who are classified not as permanent civil servants, but as term employees whose appointments to the federal workforce are renewed once-a-year, as needed. Those reappointments are prohibited as long as the hiring freeze remains intact, and the affected workers, most of whom are paid from working capital funds, have been given little information about whether they’ll continue to be employed. That’s despite the fact that their jobs are pivotal to DoD’s mission to keep its equipment ready for battle. By law, at least 50 percent of the military’s maintenance work must be done by government employees in government depots. “There is concern that these types of positions have been overlooked and there are no guidelines for term employees,” one depot employee told Federal News Radio. “But there is funding and workload for these employees.” The Crane Army Ammunition Activity (CAAA) in Crane, Indiana, for example, employs more than 260 term employees, according to Tom Peske, a depot spokesman. About half — 130 — have appointments that expire within the next 90 days and could be let go. “Term employees are potentially at risk due to the nature of their extension being a new hiring action,” he said in an email. “CAAA, Joint Munitions Command and our supporting civilian personnel offices are actively working to resolve this so that there will be no interruption of CAAA’s critical service of providing ammunition to the warfighter.” Anniston Army Depot in Eastaboga, Alabama, employs 241 term and temporary workers. An Anniston spokesman said 84 of them may be released because their appointments are due to expire in the next 90 days and can’t be renewed. Red River Army Depot in northeast Texas faces a similar situation: more than 700 maintenance personnel are term employees whose reappointments are barred by the hiring freeze. The Defense Department was unable to provide an overall estimate of the number of temporary and term employees who might be affected by the hiring freeze Tuesday, but a spokesman said the department is completing the process of classifying some civilian employees as exempt from the freeze, a step that’s permitted under Trump’s executive order if agency heads deem certain positions to be critical to national security or public safety. The Office of Personnel Management and the Office of Management and Budget issued governmentwide guidance to agencies on Tuesday evening, drawing broad outlines for which positions might be exempt. But it’s still up to agency heads to request specific exceptions and release their own guidance, a step that only the Veterans Affairs Department has taken thus far. The potential for layoffs of depot maintenance personnel is much less of a problem for the Navy and the Air Force. The Air Force, as a whole, has only 541 term employees across all of its massive air logistics centers, and only a relative few of them work in “sustainment” positions like maintaining aircraft and weapons, said Derek Kaufman, a spokesman for Air Force Materiel Command. Likewise, most of the personnel working in Navy-owned shipyards are permanent government employees, not term-limited ones, said a spokesman for Naval Sea Systems Command. But even if no personnel are laid off, several members of Congress are worried that a freeze in new hires would prove extremely disruptive to the military’s maintenance procedures, which run on extremely tight schedules with very little wiggle room for any shortfalls in their labor requirements. Warner Robins Air Force Base in Georgia is already short by more than 300 aircraft maintainers and can’t hire any more because of the freeze. On Tuesday, five Democratic senators and one House member from coastal states where public shipyards are located introduced legislation that would shield them from the hiring freeze. “Unfilled positions in our shipyards mean our ships and submarines spend more time in port and less time on mission,” said Rep. Derek Kilmer (D-Wash.), whose district includes the Puget Sound Naval Shipyard. Rep. Adam Smith (D-Wash.), the ranking member on the Armed Services Committee, also argued that the hiring freeze had already begun to endanger national security by closing the hiring pipeline for maintenance personnel starting Jan. 23, calling it a “strike at the heart of military readiness.” “That is unconscionable, and it directly affects the support we provide to U.S. service members in the field, not to mention the national security of the United States,” he said. An internal watchdog at the Department of Veterans Affairs released findings this week confirming what many veterans and lawmakers already knew: the $10 billion Veterans Choice Program created to give veterans access to private health care has been “cumbersome” and “confusing” to use. The program was established by Congress in 2014, following discoveries veterans were suffering with long waits for care at VA facilities. The nominee for VA Secretary, David Shulkin, who worked as the VA’s undersecretary of health, was responsible for implementing it. Because of his involvement, the report – and the program’s deficiencies, in general – was questioned Wednesday during Shulkin’s Senate confirmation hearing. Shulkin reiterated to senators that the VA inspector general reviewed only the start of the program, from November 2014 through September 2015, and it has since improved. Inspectors noted Congress gave the VA only 90 days to establish the program – a timeline that “posed many challenges.” “[I]t described, I think accurately, a program that was in disarray,” Shulkin said of the report. “We’ve made this a much, much different program than it was then, and you can see the results.” The VA used nearly $165 million to implement the program during its first year, while spending only $16 million on medical care during the same time, the report states. In many cases, veterans were sent back to the VA after waiting 48 days, on average, to get an appointment with a doctor in the private sector. About 98,200 veterans who were still holding out for an appointment in the private sector as of September 2015 were waiting an average of 72 days to be scheduled. Through the Veterans Choice Program, a third-party administrator was responsible for scheduling appointments for veterans for private-sector care. “[T]he procedures used to authorize and schedule appointments under Choice… were cumbersome and required veterans to schedule their treatment without assistance from [the VA],” inspectors wrote. “These procedures placed a greater burden on veterans than seeking treatment at [VA] facilities.” Inspectors gave a few examples of how the system led to errors. In one case, the third party scheduled a primary care appointment in New York for a veteran living in Idaho. One veteran in Florida was given an appointment with a specialist in California. Another veteran in south Texas was scheduled with a specialist who couldn’t perform the surgery that he needed. Spending on medical care has improved since then, the report states. Shulkin testified Wednesday that administrative costs are down to about 10 percent of overall costs associated with the program, which he said is “not bad.” “When the Choice program got stood up, when we were just enrolling patients, the administrative costs were astronomical because we were building a brand new administrative infrastructure,” Shulkin said. Latest data from the VA shows 32 percent of appointments made by veterans were sent to outside providers in fiscal 2016, up from 23 percent that were sent to the private sector in fiscal 2015. The Veterans Choice Program is likely to face more examination this congressional session. The program, meant to be only temporary, is set to expire in August, and lawmakers are trying to devise a system to replace it. There have been several proposals for how the VA should manage private-sector care.President Barack Obama established the Commission on Care to draft a proposal, and former VA Secretary Bob McDonald released his own plan. Conservative-leaning veterans group Concerned Veterans for America recently released a proposal for radical change for how private-sector care is managed, and President Donald Trump has said he wants all veterans to have access to the private market. Shulkin described a plan Wednesday to allow veterans to access private-sector doctors for urgent care. Eligibility is now based on veterans’ distance from a VA facility and how long they’ve been waiting for appointments with the VA. Rep. Phil Roe, R-Tenn., chairman of the House Committee on Veterans’ Affairs, said his committee will discuss the Veterans Choice Program during a hearing Feb. 15. President Trump’s nominee to lead the Department of Veterans Affairs promised that plans to offer in vitro fertilization services to injured veterans will go ahead in coming months, amid all the other changes at the department. “We are moving ahead with coverage for service connected IVF treatments, absolutely. It’s long overdue,” Dr. David Shulkin, the current VA undersecretary for health, during his confirmation hearing on Wednesday. Last month, just a day before Trump’s inauguration, VA officials unveiled plans to offer the fertility treatments starting in March, in keeping with legislation approved by Congress last fall. Limited fertility counseling is already available to veterans, and active-duty troops who suffer service-related injuries are eligible to receive advanced treatments, including IVF services. But existing rules had blocked VA from matching all of those military offerings. Some advocates expressed concerns whether the VA change would move ahead, given the religious objections of some top Trump officials to the procedure and the president’s recent order limiting new federal regulations without cuts in other areas. Sen. Patty Murray, D-Wash., the leading lawmaker behind the change, told Shulkin she was very concerned that the new White House “in some reckless attempt to just reverse regulations will prevent that from happening.” Shulkin said the process for that regulation is unaffected, and he is committed to providing the services. Earlier in the hearing, lawmakers asked Shulkin if he was given any pre-conditions or mandates from Trump before being offered the top VA post. He said no, and that he and Trump “shared the common vision that we have to do a lot better for our veterans.” Specifics on available IVF appointments and services will be outlined at local VA facilities in March, following a 60-day review period for the rule change. Legislation passed by Congress covering veterans IVF treatments also included new rules for reimbursement of adoption expenses for veterans. VA officials said specifics of that program will be included in a future rules release. Defense Department officials estimate nearly 2,000 troops received debilitating injuries to their groins or genital regions from 2000 to 2013, and another 300,000-plus experienced some type of head injury, which can also impact sexual performance or drive. The Senate is expected to vote on Shulkin’s confirmation later this month. The Virginia Department of Veterans Services is working to find out why a large number of documents, including veterans’ benefit claims, were discovered on in a storage unit. The Department said the unit belonged to a former DVS employee who worked at the agency’s veterans benefits office located at Richmond’s McGuire VA Medical Center. More than 5,000 personally identifiable records of veterans were found, affecting some veterans in North Carolina. Frank Ellis lives in Wendell. He served his country faithfully since 1996 but his faith in the care promised to him for serving is dwindling. “I have faith in some of the doctors I see, but the VA as a whole? Not really,” Ellis said. Ellis found out about the lost documents in a letter. “I started thinking about when I first applied for benefits. Nothing happened for over a year,” Ellis said. “It’s affecting his mental health it’s affecting everything we do and it’s just been an ongoing process of red tape,” said Ellis’ wife, Kerry. The Department said the former employee who took the records eventually stopped making payments on the storage unit, which was auctioned off. The former employee worked at DVS from January 2012 until August 25, 2015. The unit’s new owner called police when they found the boxes of documents. “There was no accountability. No oversight,” Kerry said. The more than 5,000 personally identifiable records contained names, addresses, even social security numbers. They also found nearly 700 benefits claims that either we’re filed late or not at all. Ellis’ information was a part of that discovery. “I think my first claim was one sitting in a box and nothing happened to it,” Ellis said. DVS hasn’t told Ellis exactly what of his was found in that storage unit. “I called the number on the back of the form, nobody knew what we were talking about,” said Kerry. “I asked for a copy of the records, they said they’d call us back in 24 to 72 hours that time has passed.” “We are in the process of reviewing documents and determining the status of all claims as quickly as we are able,” said John Newby, commissioner of the Virginia Department of Veterans Services. 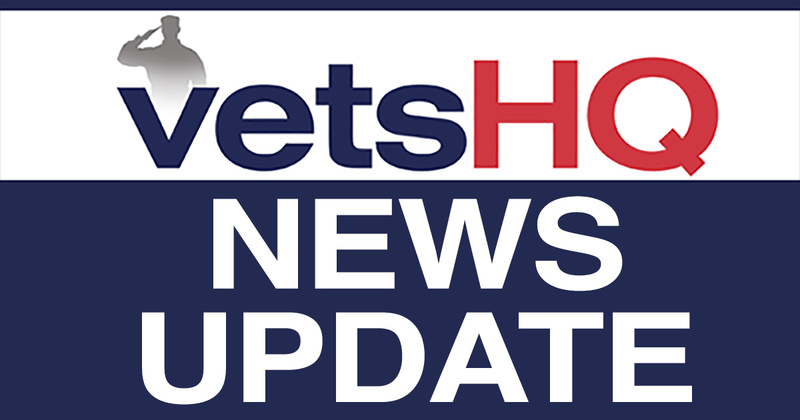 “We are committed to providing additional information to impacted veterans and to the public as we determine the full scope of the situation and how many veterans may be affected.” Ellis eventually filed a new claim and is receiving financial support. His wife is also worried about why the documents were taken in the first place. “We don’t know if the information has been compromised. We want to hope it hasn’t but we don’t know for sure,” she said. “This VSO lady could have just not cared and swept it in a box and went on about her business,” said Ellis. DVS is offering free year of credit monitoring but they won’t promise that if Ellis’ claim was ignored, he will get compensated for it. “Really it’s a year loss of pay. I should have been service connected a year sooner than I am now. It could have helped me then. Because even then I was having problems with going to work and doing my job correctly due to PTSD and memory issues,” said Ellis. “They said if you get a copy of that claim they could possibly retroactive it back, but it’s not going to be an easy thing to do,” Kerry said. There is a criminal investigation underway and the agency said it sincerely regrets any hardship this caused. “I am deeply concerned about the veterans whose records have been mishandled, and I have directed my team to use all available resources to identify these men and women and ensure that they receive the benefits and care that they are due,” said Harvey. “At the beginning of this administration, we identified vulnerability in the Commonwealth’s claims process, and we began implementing a solution to this serious deficiency. Regrettably, our fears were justified, and the danger we were working so hard to address was already a reality. We stand ready to assist any and all veterans impacted, and we are determined to prevent any similar mishandling of information from happening in the future.” They said they have no reason to believe any private information was stolen, but for veterans like Ellis – it’s another hurdle on his road to recovery. “All I care about is him getting better, him functioning from day-to-day and this just adds one more layer we’re dealing with,” Kerry said. Veterans who work at Starbucks have something to say to those insisting the coffee company should hire veterans instead refugees: “Check your facts, Starbucks is already there.” Starbucks on Thursday posted a message from a group of employees who have served in the armed forces, responding to the furor unleashed by Chairman and CEO Howard Schultz’s pledge to hire 10,000 refugees over the next five years for its stores in 75 countries. Schultz had outlined the plan Sunday in response to an executive order from President Donald Trump banning all refugee entry into the U.S. for 120 days, and barring entry to Syrian refugees indefinitely. The announcement was greeted with cheers by some — and calls for a boycott by others, who said Starbucks should focus on hiring Americans. “We respect honest debate and the freedom of expression. Many of us served to protect that very right. Some of our brothers and sisters died protecting it,” the members of the Starbucks Armed Forces Network wrote in its message. “But to those who would suggest Starbucks is not committed to hiring veterans, we are here to say: check your facts, Starbucks is already there.” Starbucks has hired 8,800 U.S. veterans and military spouses already as part of its pledge, in 2013, to hire 10,000 total by 2018, the company said. The Starbucks veterans network, which has 14 chapters across the country, said that back in 2013, veterans already working at Starbucks asked the company to hire more service members and their spouses. Since then, Schultz and his wife, Sheri, have visited military bases, used their personal wealth to help with plans for service members coming back from active duty, established military family stores at more than 30 bases around the country and encouraged Starbucks senior leaders to visit military bases, the message says. The Arkansas House on Monday approved a tax break for retired military veterans, but the proposal is drawing objections from conservatives over a plan to raise taxes on soda, candy and digital downloads to help pay for it. The proposal, which cleared the House on a 75-14 vote, would exempt military retirement benefits for about 29,000 veterans in the state. The measure now heads to the Senate, where a panel endorsed an identical version of the bill. Supporters of the measure, including Republican Gov. Asa Hutchinson, are touting it as a way to draw more retirees to Arkansas. “This moves us a step closer to having a tax environment in Arkansas that will be an incentive for military retirees to locate in Arkansas,” Hutchinson said in a statement after the vote. But the proposal faces resistance from some GOP lawmakers and anti-tax advocates over increases proposed elsewhere to help pay for the $13 million exemption. The legislation would also levy sales taxes on e-books, digital music and ringtones. It also calls for levying the state’s full 6.5 percent sales tax — rather than the lowered 1.5 percent rate for groceries — on soda and candy and making unemployment benefits subject to income taxes. The proposal also calls for reducing the tax that restaurants and retailers pay on syrup for soft drinks. Conservative activist Grover Norquist, head of the Americans for Tax Reform, urged lawmakers in a letter sent Monday to oppose the tax increases contained within the legislation. “If we could separate out the taxes and vote for a clean bill to give veterans a break on their retirement, who wouldn’t vote for that?” said Republican Rep. Charlotte Douglas, who voted present, which has the same effect as voting against a bill. “But when I talk to my veterans, they all say ‘do not vote for this bill.’ They say it’s not right to put that on the backs of other Arkansans for us to pay for it.” The digital downloads proposal was made after lawmakers scrapped an initial plan to raise taxes on manufactured housing, a proposal that opponents said would unfairly harm rural and poor taxpayers. Supporters of the measure said the increases were needed to avoid cuts to state needs to pay for the exemption. “No one likes cuts to their schools or to their prisons or other programs, so we’ve been careful to find other ways to show how this bill will pay for itself from the very beginning,” Republican Rep. Charlene Fite said.